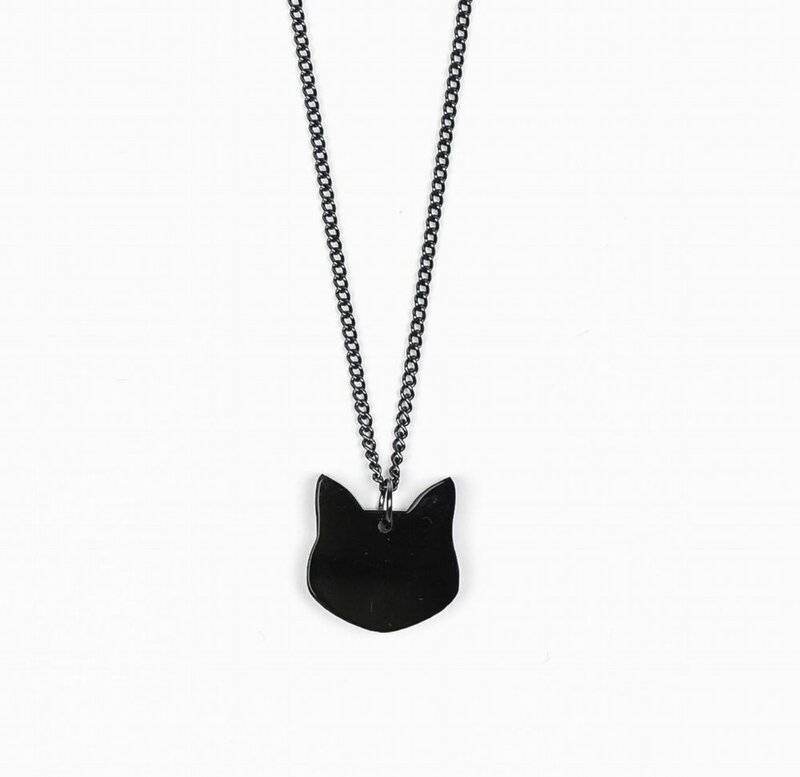 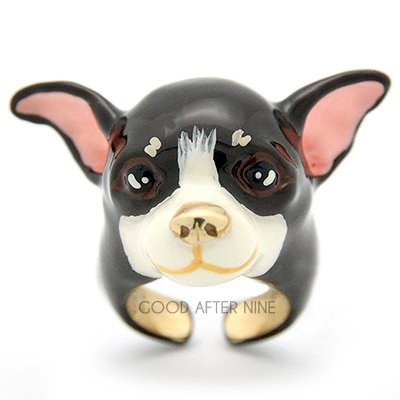 A little cat pendant to add a subtle crazy cat lady touch to your outfit. 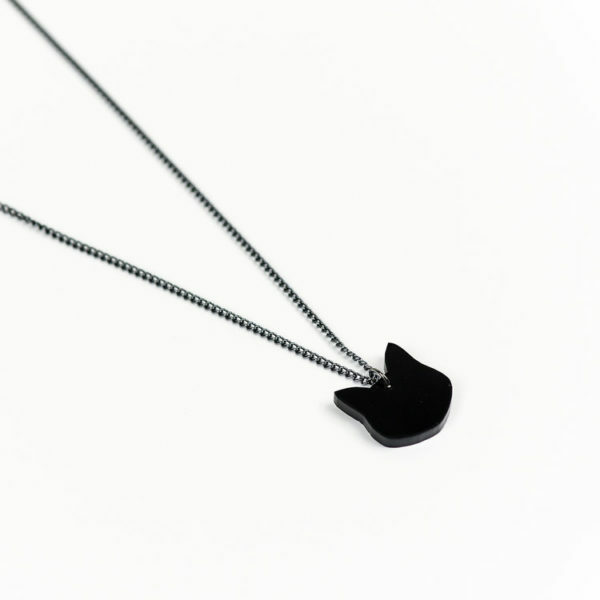 Each cat face shape measures 25 x 25mm. They are laser cut from black 3mm acrylic and presented on an 18” black plated chain.